FORT COLLINS, Colo., Dec. 5, 2017 /PRNewswire/ -- Whether they enjoy campsite cookouts, tailgating with cold brews or backcountry adventures, each special someone will love the extended ice life and modular versatility of OtterBox Venture cooler, this year's coolest holiday must-have. Everyone does the outdoors their own way. Whether it's rugged wilderness, a remote lake, the neighborhood park or a nearby beach, the important thing is to have fun doing it. Worrying about keeping food and beverages safe and cold shouldn't put a damper on any outing. With superior cooling technology and trusted OtterBox durability, Venture offers superior ice life and is certified bear-resistant. * Easy-open latches, durable built-in handles, anti-slide rubber feet and 2 inches of refrigeration-grade foam makes it essential equipment for any outing. Venture is outfitted with a modular system to customize it with accessories that speak to the many different ways people might use their cooler. For the campsite chef, a cutting board and side table attachments equate to more on the menu than the typical hot dogs and hamburgers. The avid tailgater will cheer for the included bottle opener and a cup holder that attaches to the sturdy mounting system. And boating enthusiasts will get hooked on the attachable dryboxes and RAM Mounts RAM-TUBE fishing rod holder. 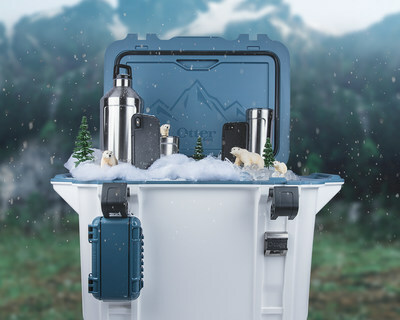 OtterBox Venture Coolers are backed by OtterBox Limited Lifetime Warranty and are available in three colors and three sizes – Venture 25, starting at $249.99; Venture 45, starting at $349.99; and Venture 65, starting at $399.99. Today is the last day to buy a Venture Cooler and receive a free cooler accessory $69.99 and under. For stocking stuffers, a gift-giver can't go wrong with Elevation Tumblers. OtterBox Elevation is ideal for caffeinated commuters and campers alike. Available in 10-, 20- and 64-ounce sizes, these stainless-steel tumblers are copper lined for longer temperature retention and feature a sweat-resistant design – perfect for keeping coffee or tea hot and water or smoothies cold for as long as it takes to consume them. The Elevation 20, $29.99, is fully customizable with cocktail shaker and thermal lids available. Elevation 10, $24.99, is great for a grab-and-go beverage, and Elevation 64, $69.99, holds enough water or sports drink for all-day hydration or plenty of beer to share. Dec. 6-10, buy an Elevation 20 and get 50% off a tumbler accessory. When that special someone loves the great outdoors, Venture and Elevation are the perfect gift to place under the tree. 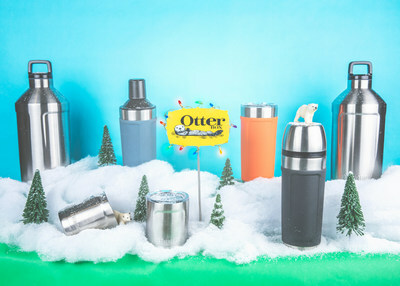 Both Venture Coolers and Elevation Tumblers are available at otterbox.com and at Best Buy and BestBuy.com. * Certified bear-resistant when using OtterBox Locking Kit, sold separately.